One of the advantages of spread-betting in the UK is that profits are tax-free. Since spread betting is currently considered to be a form of gambling by HMRC, no Capital Gains Tax is due on proceeds. This means that if you win you get to keep 100% of your profits, untaxed. However, losses cannot be used to offset taxes. 3 Different Trading Platforms – ETX TraderPro, ETX MT4 and ETX Binary – each tailored to suit a different trading style. An education programme – ETX runs international trading seminars, online trading webinars and extensive trading courses for clients. For more information, visit our Education page. Apply for an account now and experience the benefits of trading with ETX Capital. Since the initial sum put in is smaller, if the markets move in a way which is beneficial to the trade then the profit margin can be much higher than it is in regular trading. However, if the markets move in the opposite direction, the loss-making potential is significantly greater than it is in regular trading, since with certain forms of spread bets traders can lose more than the amount they have invested, something not possible with traditional trading. Tight Spreads - ETX Capital offers some of the tightest spreads available for Forex pairs, with a minimum spread of 0.7 on EuroDollar and 0.9 on EuroYen, Cable, AUD/USD, Dollar-Yen and USD/CHF, as well as competitive spreads for a range of other currency pairs in normal market conditions. 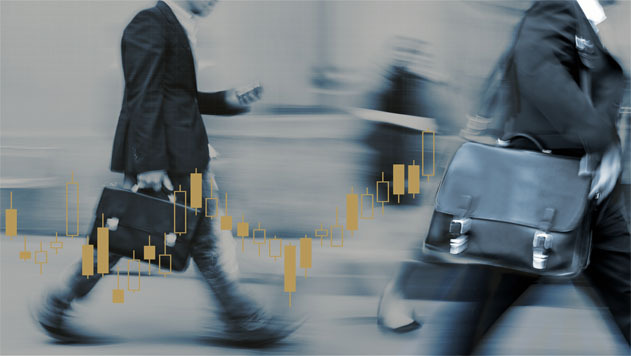 Mobile Forex Trading - With the volatile nature of the Forex markets, traders can access the ETX Capital platforms via a range of mobile apps for iOS and Android devices. Trade online with ease, whether you’re at your desk or on the move. FCA Authorisation and Regulation - ETX Capital is authorised and regulated by the Financial Conduct Authority. Please visit our Client Money Protection page for a full list of the precautions taken by ETX Capital to safeguard client funds. All market data displayed has been derived by Monecor and is not in its original raw form. CFD'er er komplekse instrumenter og der er stor risiko for at tabe penge hurtigt på grund af gearing. 79.6% af detailinvestorkonti taber penge, når der handles CFD'er med ETX. Du bør overveje, om du forstår, hvordan CFD'er virker, og om du har råd til at tage en høj risiko for at tabe dine penge.